The casting on Denis Villeneuve's Dune is ramping up quickly. Only yesterday Oscar Isaac got closer to joining the film as the father to Timothee Chalamet's character, Paul Atreides. 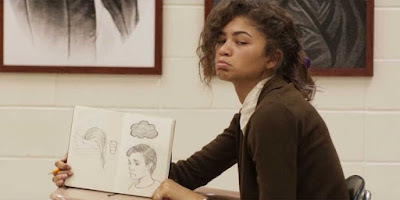 And now today brings word that The Greatest Showman and Spider-Man: Homecoming star Zendaya may come along, too. Collider reports that Zendaya is being eyed to play Paul Atreides' love interest, Chani, with her role expected to expand as the franchise goes along. This assumes the first movie does gangbusters at the box office which, frankly, I have a lot of doubts about. But certainly, this cast will help. Rebecca Ferguson, Charlotte Rampling, Dave Bautista, and Stellan Skarsgård are also on board. That should put a lot of butts in seats, and maybe make up for David Lynch's 1984 film. Dune doesn't have an official release date yet, but if filming begins soon we could see it next year.